Simply Nerdy Mom: Is The Twilight Zone Reboot as Good as We Hoped? Is The Twilight Zone Reboot as Good as We Hoped? 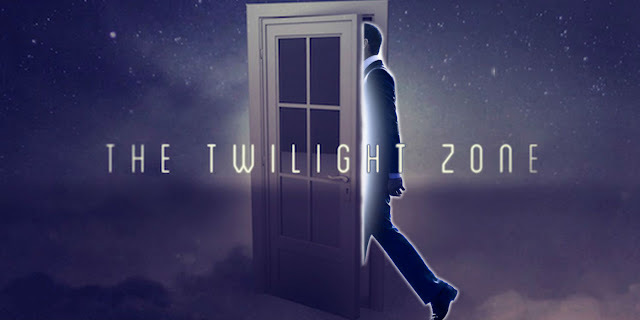 Jordan Peele's reboot of the Twilight Zone has finally been released on CBS All Access, and as a highly anticipated series, I know everyone is wondering how it holds up to the original. I took the plunge and checked out the first episode. I am a huge Rod Serling fan. I have all 3 of the Twilight Zone sets and even own Night Gallery. I am, naturally, a huge fan of anthology series and movies overall. So the announcement of Jordan Peele's Twilight Zone reboot had me both excited and scared. Admittedly, in my mind, no one can beat Rod Serling and the original. Even the 1980's and 2000's reboots didn't hold up as well. While they were still entertaining and chock full of celebrity cast members, I have a love for Rod that just surpasses everything else. CBS had announced that they would strictly be showing this series on their All Access paid streaming service. This was a huge downer. I don't watch any CBS shows and there's no way I want to pay a monthly service to watch just one show that I was still on the fence about in the first place. Apparently, I'm not the only one who felt that way. CBS released the first episode on Youtube for free and other fans are comparing the move to a drug dealer giving you your first hit for free, knowing once you taste it, you'll pay for more. Yeah, no. I can honestly say that isn't the case here. After seeing the first episode, there's no way I'm paying to see more. Episode one is titled "The Comedian", which fans of the series have already seen in the 80's reboot with a bit of a change or two. Samir (Kumail Nanjiani) is a comedian at Eddies Comedy Club, although, he's not very good. He refuses to involve his personal life in his jokes and his political "jokes" just aren't getting any laughs. 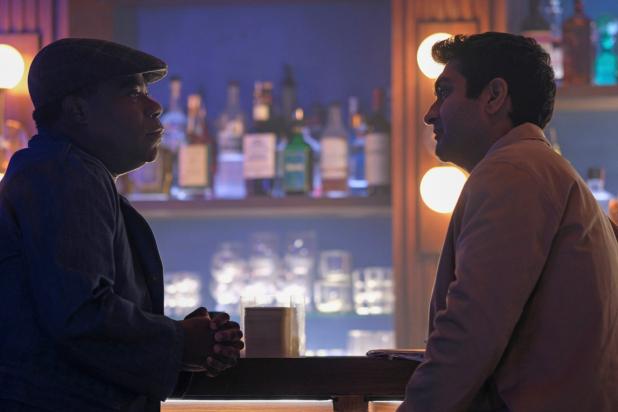 After a particularly bad night, he slides up to the bar for a drink and meets JC Wheeler (Tracy Morgan). JC gives him the advice to get a little more personal in his jokes. He hesitates to take this advice, but eventually realizes he has nothing left to lose. The first night he decides to talk about his dog, that is stupidly named Cat. The laughs follow, but when he arrives home that night, Cat is nowhere to be found. As a matter of fact, Cat no longer exists. Eventually Samir realizes that putting elements of his personal life into his show changes his life and the world around him, sometimes with terrible consequences. If I'm being honest, the first episode just didn't do it for me. It's a rewrite of an already done episode and comparable to a live action version of Death Note. 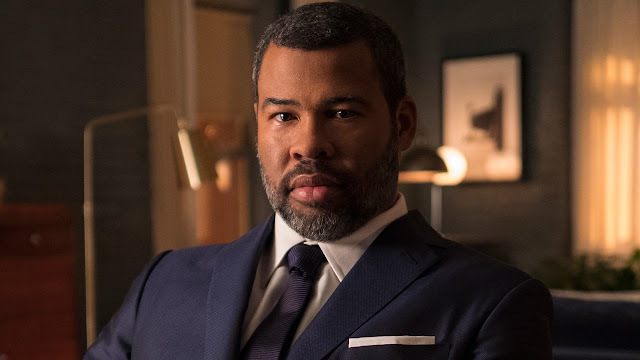 Peele's creepy monologue does take me back to the Rod Serling days and I'm totally here for that. The episode itself, however, just fell way too short for me. For instance, there was a much better solution to Samir's career end than what actually happened, but I guess the true ending does reflect on original Twilight Zone endings where not everything ends as well as we had hoped. Is this series worth paying for CBS's overly priced, glitchy streaming service? Oh heck no. The cons to this is that, without people willing to pay for this service just to watch this series, I don't see this series going beyond one season. Does it have the potential to get better? I think it does. Will it be given that potential? Unlikely. Especially with very few viewers. The pros, I guess, is that this is 2019 and you can usually find anything you don't want to pay for online for free somewhere if you know where to look. So if you really wanted to see the series without subscribing to the streaming service that's not even worth it, you will undoubtedly be able to find it online for free to watch.